A simple and semi-healthy treat could never go wrong with Chocolate Dipped Frozen Bananas. These treats are perfect for hot summer days when everyone is wanting something cold and the popsicle stash is completely gone! 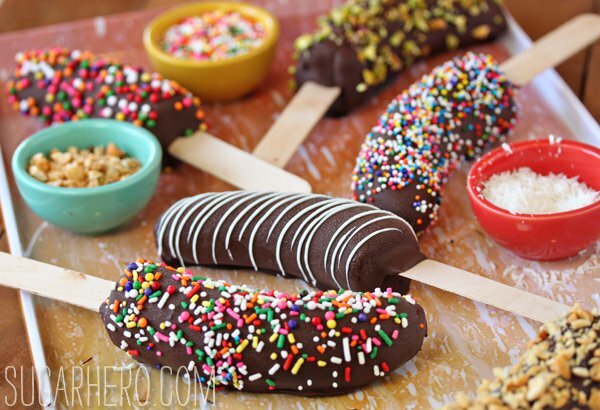 You can coat your chocolate dipped banana into just about anything you desire. Try salted nuts, sprinkles, coconut, and drizzled white chocolate. If you are feeling adventurous, you can add a combination of your choosing. Click here to get this recipe over at Sugar Hero!